Dental implants are the best way to replace missing teeth. Contrary to some reports they are nothing new, in fact the root form dental implant in use today is a refinement of the original PI Branemark design from the late 1960's. However the technology has become much more predictable to the point where it is one of the most predictable and long lasting of all dental procedures. See are frequently asked questions section on Dental Implants HERE. 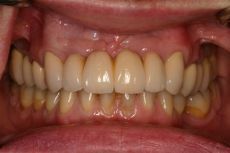 Also see information about different implant systems HERE. A dental implant is a replacement root for a missing tooth or tooth which is missing or requires removal. It is usually made of titanium or titanium alloy. The unique properties of the implant and its surface preparation allow your jaw bone to grown directly onto the implant and the implant becomes fused to the bone. Using this artificial root, your Prosthodontist can build teeth, groups of teeth, whole arches of teeth or stabilize dentures, depending on your requirements. 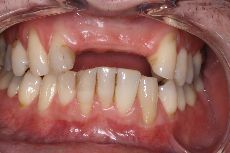 The placement of the implant is very important and requires precise planning. Its a once off procedure and is very difficult to correct if misplaced. There are also a number of types of dental implant on the market and while they all will integrate to the bone, the way the teeth are attached to the implant will have implications for you in the future. At Dublin Specialist Dentistry we use only implants which have high level research over long periods of time and tried and tested restorative components. The placement of the implant is much like having a tooth removed but in reverse, a lot of people cannot believe how quick and painless the procedure is. By working together Dr. Fitzgerald will plan where you teeth should be and Mr. Rogers will place the implants in the correct position. All advanced techniques are available. 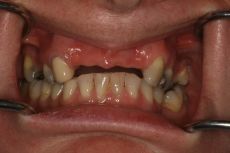 Guided keyhole surgery such as "Teeth in and Hour" and "All on 4" which reduces the amount of post operative discomfort and allows us to avoid grafting in some cases. CT scans are required for these procedures. 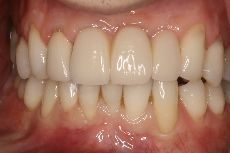 Dental implants need to be brushed and flossed like natural teeth. While we believe that a successfully integrated implant could last your entire life, the prosthesis screwed into the implant may require periodic maintenance just like your natural teeth do.